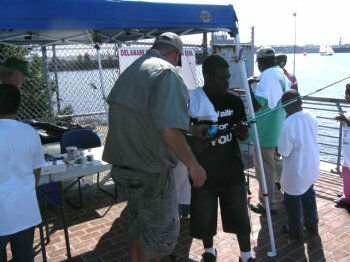 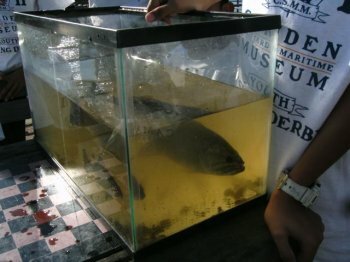 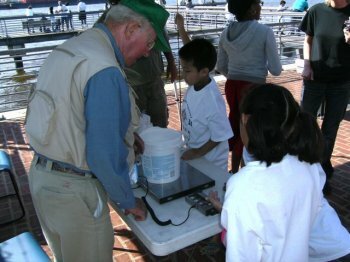 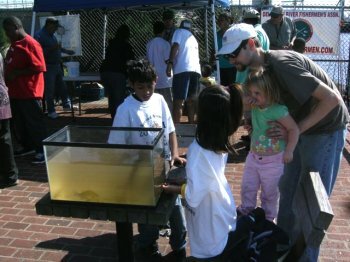 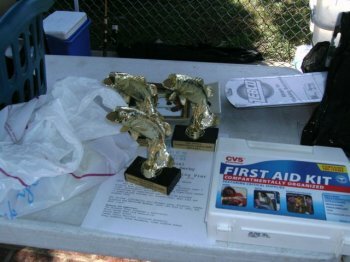 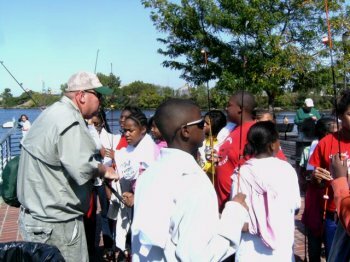 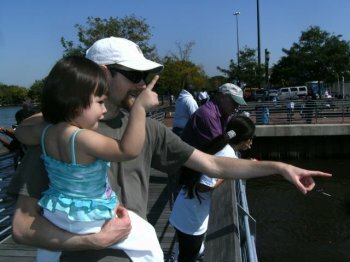 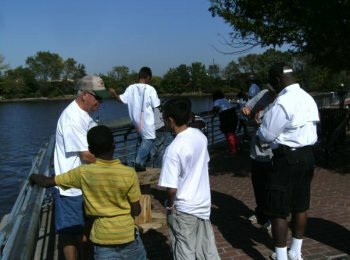 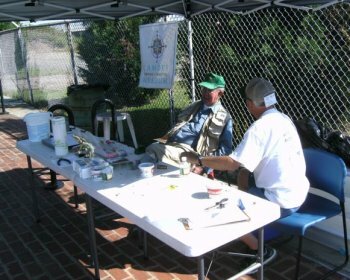 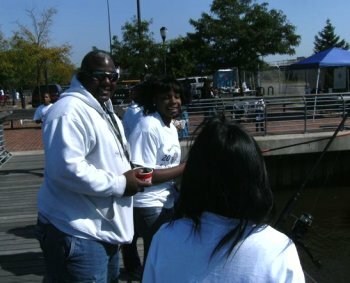 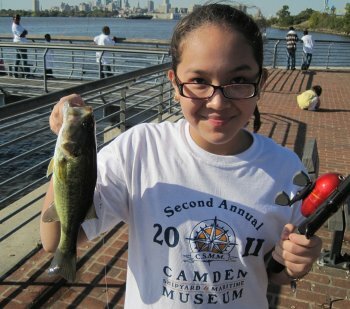 This was the Camden Shipyard and Maritime Museum's Second Annual Youth Fishing Derby. 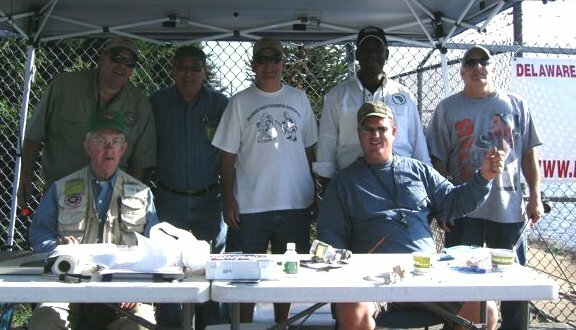 Volunteers were from the Delaware River Fishermen's Association. 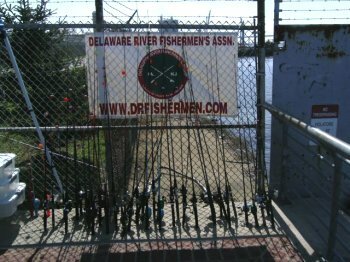 The group had a great day on the Delaware River. 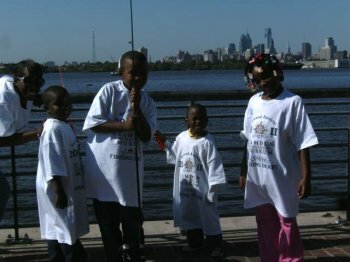 Some fifty Camden kids from Sacred Heart School and Urban Promise School fished from the Michael Doyle Fishing Pier. 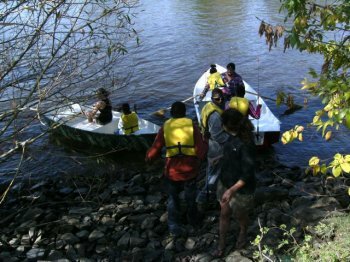 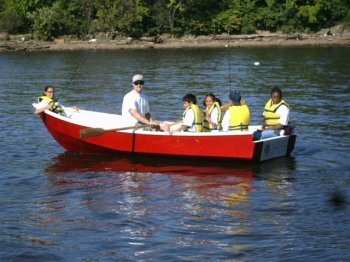 Some of the kids also fished from two boats, one of which was built by youngsters at Urban BoatWorks housed at the Camden Shipyard & Maritime Museum. 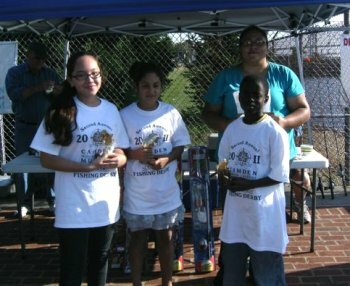 The youngsters competed for terrific prizes and trophies, and each received a T-shirt. 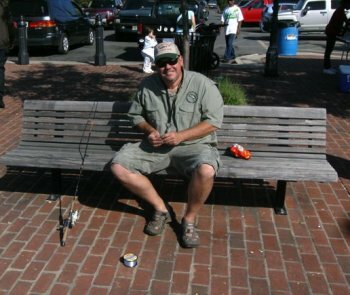 Getting rod/reel combos & bait.